Our compassionate and caring staff goes out of their way to make this sorrowful moment as smooth as possible for you and your four-legged friend. We understand that it hurts to say good-bye to someone you love so much. We often book our euthanasia appointments for the end of the day so that we can take as much time as is needed to help you through your decision and your grief. 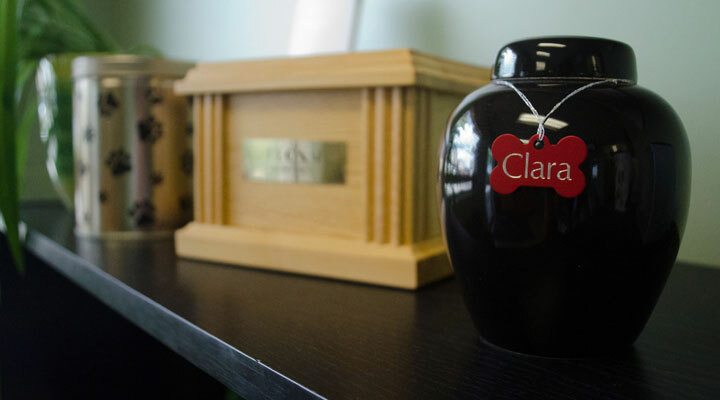 Through our partnership with the Calgary Humane Society, we offer custom cremation options. You will have the option of choosing from a wide variety of memorial urns, scatterboxes, and keychains. For those clients who may be having a more difficult time coping with their grief, we offer referrals to a pet loss counselor in Calgary.